One advantage this album has is the ability to let its mood swings do the thinking, thus meaning enjoying it in a semi-listening mode capacity can be as fruitful as savouring every intricacy. There are aspects of this record where rules are put to one side and frequently the sound bounces between the acute alternative and the fairly conventional. Miranda slips into electrified indie mode quite early in the album best exemplified by ‘The Wildwood’; a racing track full of swirling guitars and a heavy drum beat. However just when you think that this is likely to be the defining sound, the heart of the record adopts a very folky feel, most prominently felt in the stripped back acoustic piece ‘Autumn Sun’, complete with beautiful vocals and violin. Probably the bravest move on the record is the decision to close it with an eleven minute song, best described as the moment where Miranda decided to pull all the previous musings together and summarise her feelings. ‘Another World’ takes the writing in a more literal direction away from the extremely organic themes in the earlier tracks – exposed in titles such as ‘Ashes and Seeds’ and ‘Back to Source’. The closing track is very lyric laden, quite mono in reception, but has a captivating and intense appeal that keeps you hooked in, especially required when you reach the 7th, 8th and 9th minute of this epic acoustic piece. 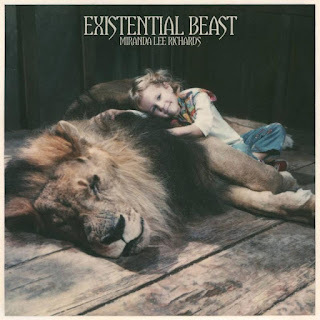 The title track ‘Existential Beast’ takes a pivotal position on the record, edging more into folk territory and successful in creating pondering thoughts through lines such as ‘why must light follow dark’- oh the escapist elements of music. If you’re looking for a strapline for this album: exploring the primal instinct to survive makes a strong case. The album is awash with West Coast subtleties which reflect Miranda’s San Francisco home and upbringing. Occasionally the sound drifts a little into psychedelic waters and gets to its most experimental point in the climax of ‘Golden Gate’ where ramped up guitars and muffled vocals close out the song. In another style swing, Miranda follows the folk core to her record with a return to an indie rock feel especially prevalent in the opening bars of penultimate song ‘On the Outside of Heaven’.